With The Way of Coyote, Gavin Van Horn reveals the stupendous diversity of species that can flourish in urban landscapes like Chicago. That isn’t to say city living is without its challenges. Chicago has been altered dramatically over a relatively short timespan—its soils covered by concrete, its wetlands drained and refilled, its river diverted and made to flow in the opposite direction. 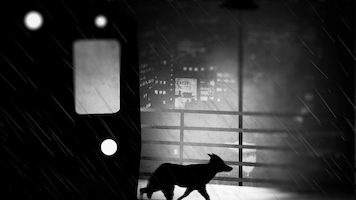 The stories in The Way of Coyote occasionally lament lost abundance, but they also point toward incredible adaptability and resilience, such as that displayed by beavers plying the waters of human-constructed canals or peregrine falcons raising their young atop towering skyscrapers. Van Horn populates his stories with a remarkable range of urban wildlife and probes the philosophical and religious dimensions of what it means to coexist, drawing frequently from the wisdom of three unconventional guides—wildlife ecologist Aldo Leopold, Taoist philosopher Lao Tzu, and the North American trickster figure Coyote. Ultimately, Van Horn sees vast potential for a more vibrant collective of ecological citizens as we take our cues from landscapes past and present. "Gavin Van Horn, a natural navigator of the cityscape, reminds us that urban is not the same as absence of nature. He writes with great beauty and dignity about how we might better align ourselves with the natural world and establish urban habitats where a diversity of wildlife can flourish." 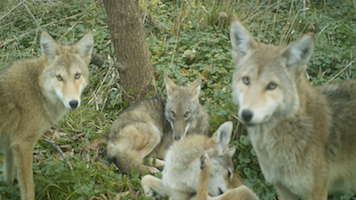 Earth Week 2019: "Wildling Kin: Chicago's More-than-Human Worlds"
Stories provide a bridge between the sciences and the humanities, offering a critical means of communicating and reflecting upon urban wildlife issues. 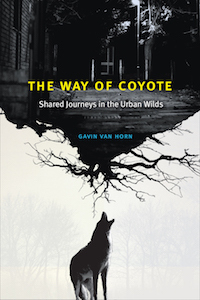 Join Gavin Van Horn, the author of The Way of Coyote, in exploring the importance of story as a means to knowing the city and its nonhuman denizens. Van Horn will draw examples from the City Creatures Blog; the edited volume City Creatures: Animal Encounters in the Chicago Wilderness; and The Way of Coyote to illustrate the ways in which stories can deepen appreciation for the ways in which our lives are entangled with urban wildlife. 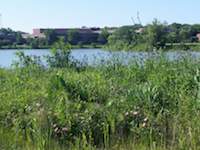 The Lake Katherine Nature Center is an 85-acre reclaimed site on the bank of the Cal Sag in Palos Heights, Illinois. For the annual Nature and Arts Festival, the Nature Center partners with the Palos Heights Library to bring a celebration of nature and the arts to the community. There will be a story trail and nature-based activities with art, writing, and music, and more for all ages. 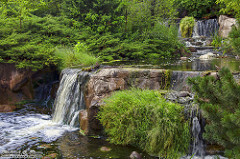 Gavin Van Horn will lead a mindful walk (as a practice of connecting to nature) followed by a talk related to his book The Way of Coyote. Free and open to the public. 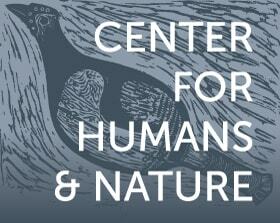 If you would like to book a reading or discussion, please contact info@humansandnature.org.